Want to get on the lake for under 200k? Here is your chance to own a 3BR 2BA home at The Village on Lake Martin. Presented by Michael Langston 256.750.5200. 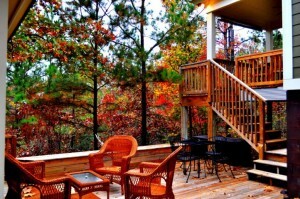 Looking for that get away on Lake Martin? But you don’t want to spend a fortune. Come see The Cabins in the Village! This Cabin listed below 200K…. Has access to two pools, fitness area, community chapel, boat ramp, community docks, and much more! This Cabin features, wood floors and ceilings, plenty of windows, granite counter tops, large deck plus much more! Want to see more? Click Here for Details and Pictures!